Major Depressive Disorder with Postpartum Onset, more commonly known as Postpartum Depression Disorder (PPD), is ususally found in women after giving birth. Many women feel ashamed to discuss it, in fear of being labeled as a “bad” mom. They feel ashamed in not meeting the standards for the perfect mother portrayed by the media. 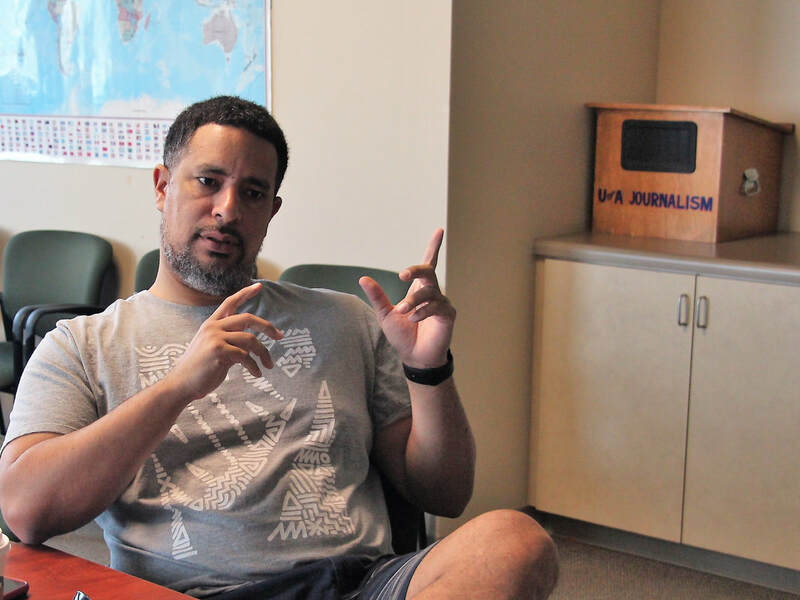 The annual program was renamed this year as the Donald W. Carson Journalism Diversity Workshop for Arizona High School Students in honor of the long-time journalist who was a professor and department head in the school for many years. We welcome students from all over Arizona to participate in this seven-day intensive journalism program. The Deferred Action for Childhood Arrivals was highly lauded as a program to support those who were brought to the United States as infants or small children. But in the past year, those protected under DACA have been launched into a state of confusion. Deportation became a possibility. Their immigration status was up in the air. In Arizona, 2,000 DACA students’ ambitions to achieve a higher education could possibly be cut off abruptly. Their future was in question and it seemed as if no help was available for them. Cultural competence is the ability to interact with people, despite the difference in cultures, to be respectful to the cultural and linguistic needs of a diverse population. America is considered a melting pot, a country filled with voices from all over the world; however, people’s ignorance of cultures other than their own is still a large problem. The lack of representation in work places and media is also a reason why acknowledging our differences isn’t as recognized as it should be.